With the multitude of computing endpoints available for users to access and collaborate information, IT must be able to single-handedly manage endpoint statuses under one system. This will allow them to oversee all software information and security issues and maintain compliance, as well as decrease the chance of threat. 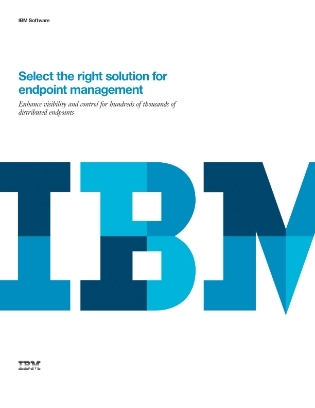 View this white paper to learn how a graphical user interface endpoint management system does just that by using a unified, flexible solution that provides IT with more visibility and protection. Whether it is physical or virtual endpoints that need monitoring, having a secure IT architecture leads to business success and effectiveness.